Ben Nadolsky is a 2010 graduate of ESK. Since graduating, Ben has been busy pursuing his passions and goals, in the classroom, as an activist, and now professionally. ESK graduate Ben Nadolsky has embraced the role of advocate. 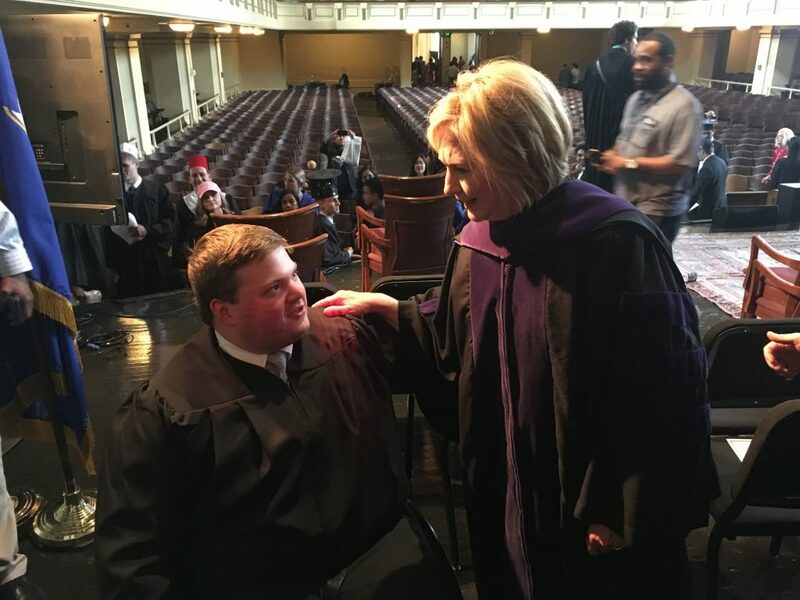 A 2010 Episcopal School of Knoxville graduate, 2014 Knoxville Catholic High School graduate, and 2018 Yale University graduate, Ben has been standing up for the rights of those whose voices go unheard throughout his academic and now professional career. 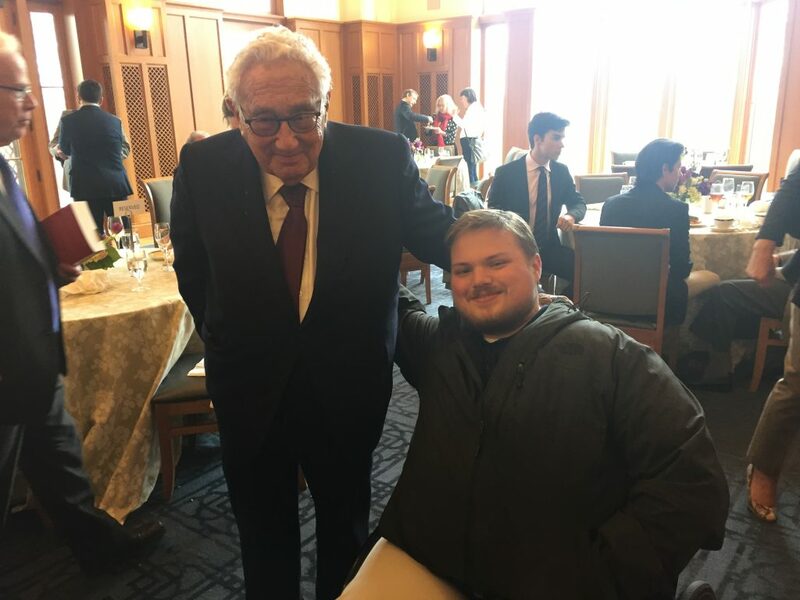 During Ben’s time at Yale, where he majored in Global Affairs and History, he also started DEFY (Disability Empowerment for Yale), a student advocacy organization that seeks to change the dialogue surrounding students with disabilities. One of his greatest accomplishments as an undergraduate, DEFY works to decrease stigmatization towards disabilities on campus, and even lobbied to have American Sign Language (ASL) offered as a credit course. DEFY continues to thrive though Ben is no longer there to lead the effort, working to recruit new members and to secure adequate funding to advance this important work. Ben’s achievements at Yale are not punctuated by his contribution to founding DEFY. 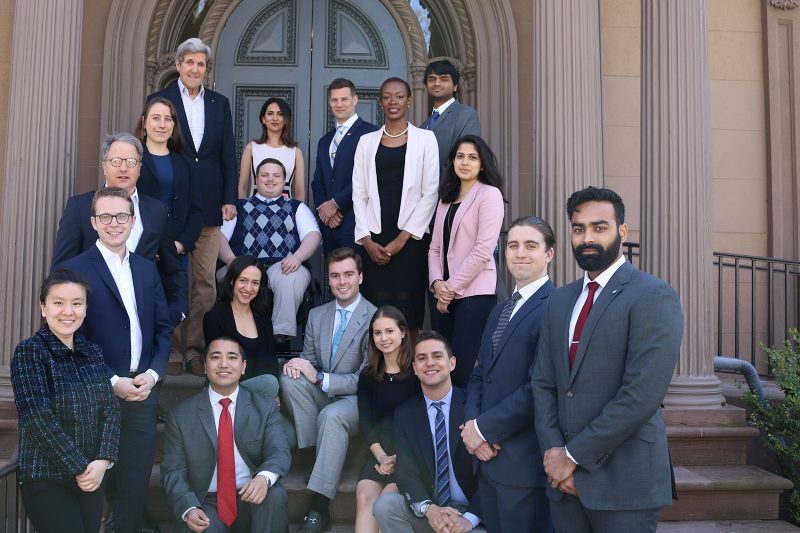 While a student, Ben also wrote columns for the Yale Daily News, participated in the Kerry Fellows program, where he worked directly with former Secretary of State John Kerry on Global Affairs issues, and served on the New Haven Commission on Disabilities. 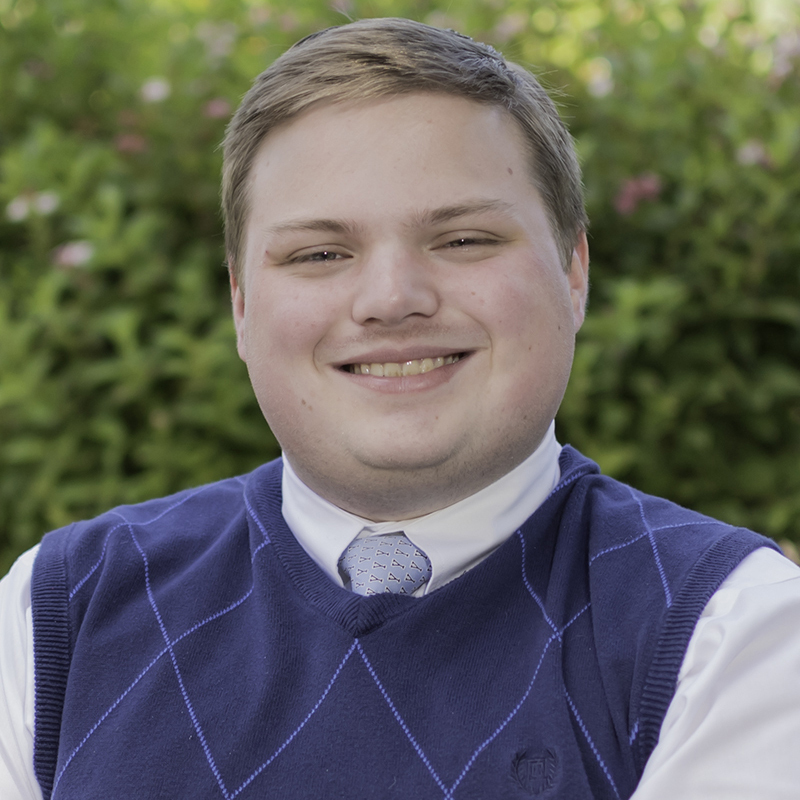 His support for disability awareness combined with a rigorous course load kept Ben engaged and growing personally and professionally during his undergraduate experience. Ben has taken his calling to advocate for others to the next level as he has embarked on his professional career. After graduating from Yale in May 2018, he immediately began training as an educator with Teach for America (TFA). He currently teaches Latin I to 150 high school freshmen at RePublic High School in Nashville, TN. The TFA program recruits talented college graduates to teach in lower income public schools. Educators in the TFA program fill in the gaps at these schools, reaching students and serving schools in the places of greatest need. Ben says that his first semester at RePublic was “much more difficult than he ever dreamed.” Coming from the highly motivated and competitive academic environment of Yale, where students are almost “crazy about learning,” to RePublic, where students that are full of potential display apathy towards books more often than enthusiasm, Ben has learned how to motivate kids. He says that by making cultural connections that kids can relate to, and by building relationships with his students, he has endeavored to reach kids who otherwise display limited interest in Latin class. Ben’s own high school experience has informed his new work with high school students. One of Ben’s most memorable experiences at Catholic was participating on the robotics team. In line with his character, Ben decided to bring a First Robotics program to RePublic as a way to share his passion with students, as a method of exposing students to new opportunities like engineering, and as an avenue to inspiring students to believe in themselves. As the RePublic coach, Ben’s main role has been reaching out to sponsors for funding to build RePublic’s robot. His dedicated team of 13 students is currently designing their robot using a CAD program. Their next step is to have a sponsor fabricate portions of the robot, which the team will then assemble for their first competition in March. Though Ben graduated from ESK almost 10 years ago, he still distinctly remembers the feeling of community the middle school especially offered. While he was going through a difficult time of rehabilitation, ESK provided a sense of home for him, and teachers like Mrs. Lancaster, Mrs. Coburn, Mr. Klecamp, and Mrs. Busby contributed to his feeling of well-being. His favorite ESK teachers, Mr. Renberg and Mrs. Lancaster, both proved supportive during Ben’s middle school years. And, Ben’s own robotics career began at ESK with Mrs. Busby! During 8th grade he participated in Lego Robotics and distinctly remembers going to competition with his team. After Ben completes his two-year Teach for America commitment, his goal is to attend law school, a degree program he’d ideally like to complete back at Yale. In the meantime, he plans to make the most of his experience teaching in inner city Nashville. He hopes to use his experience as a teacher and his knowledge of the public education system as a lawyer, likely as he once again advocates for those who don’t have a voice in our communities. Ben exemplifies the qualities of an ESK graduate: driven, curious, compassionate, civically active, and bursting with initiative. We’re proud to say that he spent some of his educational experience here in the halls of our school on the hill in West Knoxville. If you’re interested in learning more about where Ben and other impressive alumni spent formative years of academic and personal development, please call Mary Lovely at (865) 777-9032 to learn more about an ESK education. We encourage you to invest in your child’s future by choosing ESK.